The 14TP (14-Tonne-Polish) is an obscure and scarcely documented Polish prototype tank designed in the late 1930s, but likely destroyed before it was completed during the German invasion. Most of the information regarding the 14TP comes from Janusz Magnuski, a Polish historian. The earliest mention of the 14TP in his work (to our knowledge) is in his 1964 book, Wozy Bojowe 1914-1964 (Combat Vehicles 1914-1964). Most of the information in this article either comes directly from Magnuski’s work or from articles based on his work. Almost all available articles on the 14TP typically do not reference primary documents. Original sources from the Polish Central Military Archive are mentioned in the “Czolg Poscigowy 10TP” (10TP Cruiser Tank) article by Tomasz Koch from the 1997/1 edition of the Militaria Polish magazine, but they are not publicly accessible and cannot be verified. This lack of available primary sources demands caution and scrutiny when discussing the 14TP project (especially given the growing trend of fake design and dubious information regarding Polish tanks with connection to online tank games). However, there are certain indications that the 14TP prototype did in fact exist. The project, as described in most sources, is plausible and in-line with the general Polish armor design tendencies. In contrast, some of the modern fake designs that are circulating around the Internet appear to have been created with the express intent of featuring in online tank games, with all the associated exaggerations and disregard for historical design trends. Furthermore, Janusz Magnuski is a reputed and respected historian, and there is little reason to suspect him of having fabricated the 14TP. These being said, it is the author’s opinion that the 14TP was a real project, however some of the information should be taken with reservations until primary sources emerge from the Polish archives. The only publicly available, possibly original source relating to the 14TP appeared in 2009 on the odkrywca.pl forum. 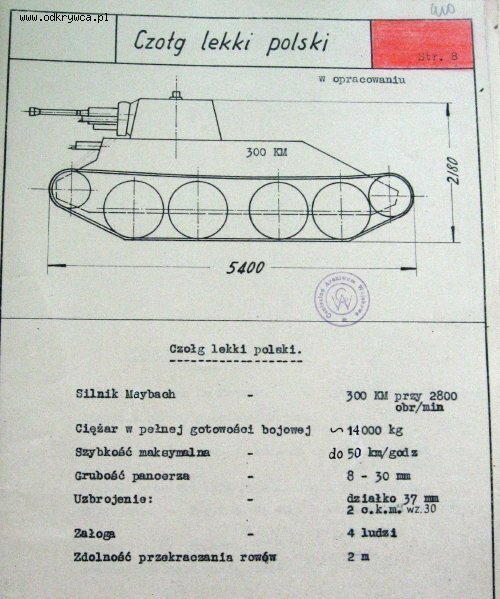 It is a photo of a document bearing the stamp of the Polish Central Military Archive (CAW) and features the Czołg Lekki Polski (Light Polish Tank). The vehicle strongly resembles the 10TP, and the specifications presented match the claimed ones for the 14TP, including the Maybach 300 hp engine, the 14 tonne weight, 50 km/h speed, 30 mm maximum armor and armament. However, the values for the weight and the speed of the vehicle indicate possible tampering, either on the document itself or afterwards. It is possible this is a contemporary change too but only examination of the actual document would clear this up. The document showing the Czołg Lekki Polski. The values for the weight and the speed show signs of possible tampering. According to Magnuski, the 14TP was designed simultaneously with the 10TP “convertible” tank. However, in contrast to its lighter ‘brother’, the heavier 14TP was designed from scratch as a tracked-only tank, without the ability to run directly on its wheels. A traditional tracked chassis allowed the designers to give up the complicated systems made necessary by the convertible drive. 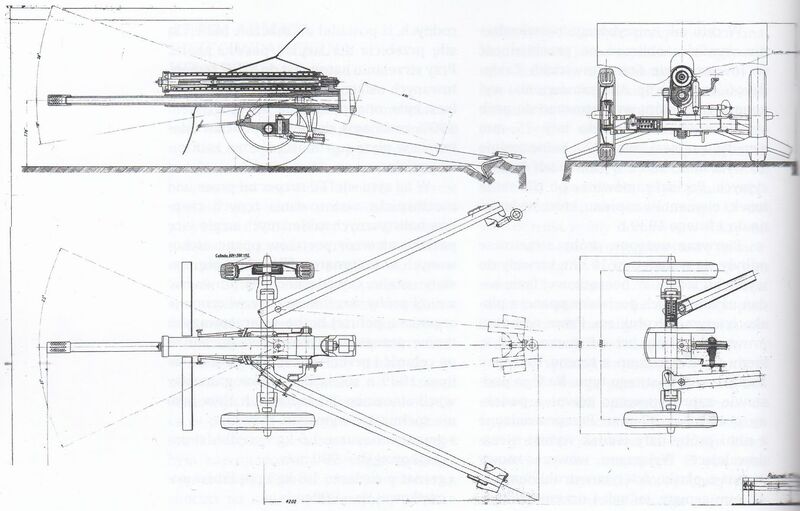 As the changed chassis was stronger, the 14TP tank could be made heavier. A 14-ton weight was recommended for the tank, with a maximum of 35 mm of armor and a maximal speed of approximately 50 km/h. Later, the maximum armor value increased to 50 mm. For comparison, the lighter tank 10TP had 20 mm maximal armor. 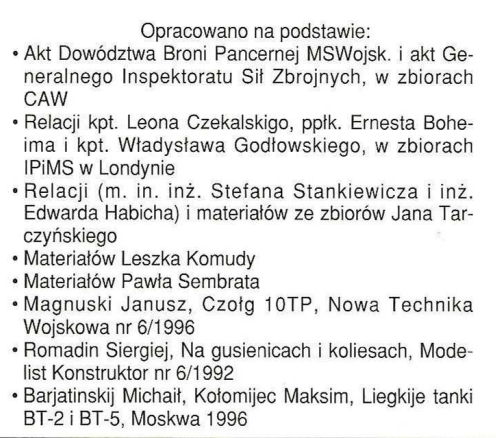 The 14TP project was carried out by designers from the Biuro Badań Technicznych Broni Pancernych (BBTBrPanc, Armored Weapons Technical Research Bureau) and Państwowe Zakłady Inżynierii (PZInż, National Institution of Engineering). In order to propel the 14-ton tank to a top speed of 50 km/h, the 14TP needed a powerful engine in the 300-400 horsepower range. The American LaFrance petrol engine, used in the 10TP, could not reach these requirements. The Polish PZInż R.W.A. was a candidate but was still in testing at that time, so its operability was under question. The designers instead decided to buy a suitable engine from Nazi Germany. 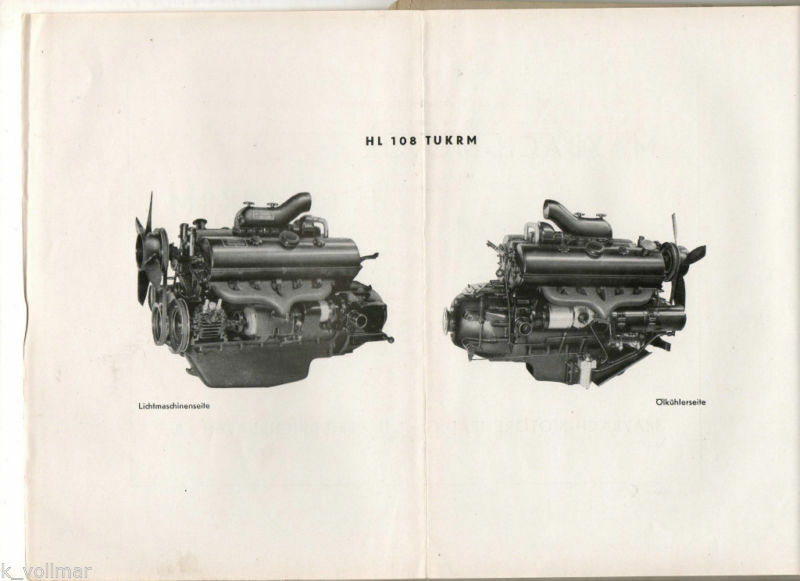 The purchase of the Maybach HL108 engine, as used by the Sd.Kfz.9, was discussed between Polish and German representatives, but the negotiations were supposedly hindered by Germany. By September 1939, this matter was still not resolved and the 14TP apparently never received an engine at all. 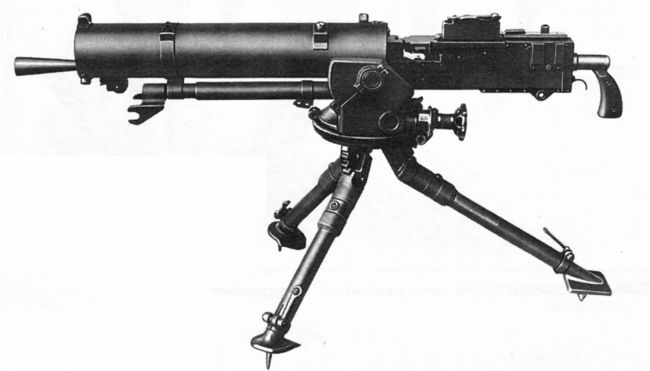 The main armament specified for the 14TP was the 37mm wz.36 cannon which was the primary Polish anti-tank weapon of that time. 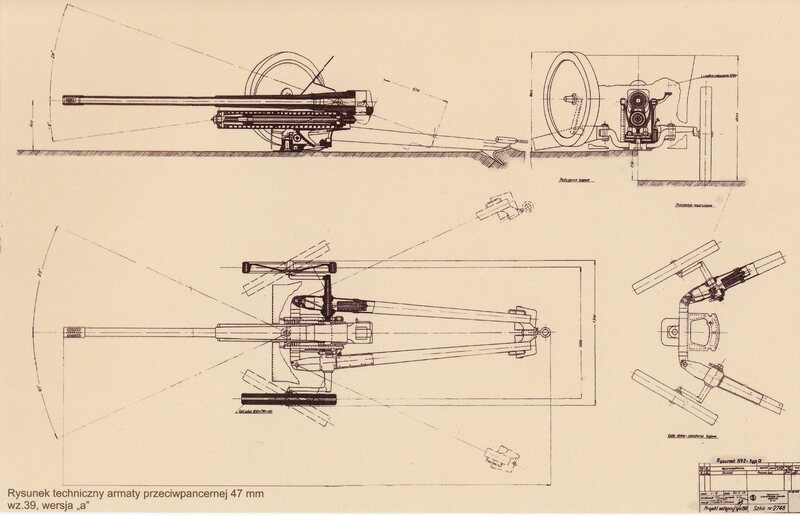 The wz.36 gun was based on a gun produced by the Bofors Swedish company and, in 1936, Poland purchased a large number of the guns and a license to produce them locally. The wz.36 cannon in its towed version. 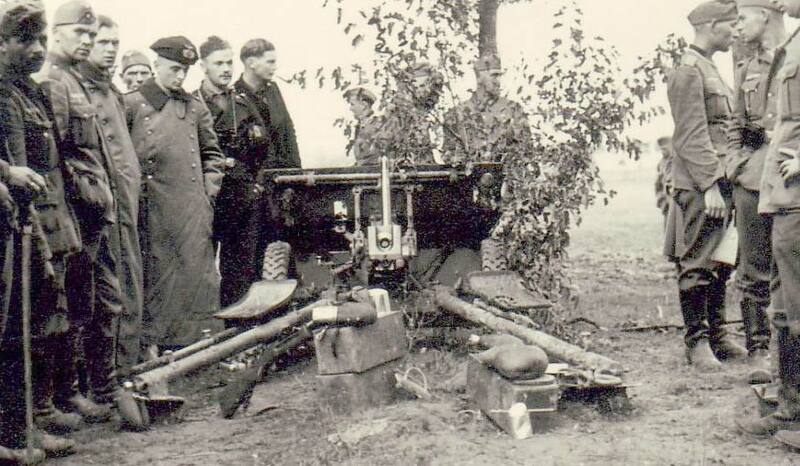 The 37mm wz.36 cannon was the main armament of 7TP light tank, as well as for the 10TP and a few other vehicles. During the 1939 September campaign, it was still a very effective weapon, and able to effectively combat any of the German tanks of the time. 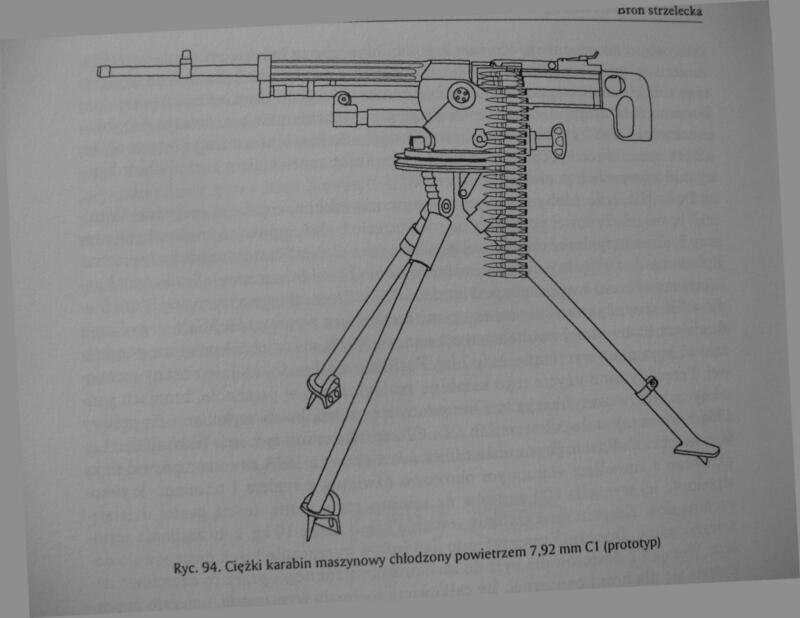 However, Polish designers, according to Magnuski, also planned an alternative armament, the 47mm wz.39 gun. The wz.39 was a new weapon with its only prototype built in April 1939, but the plans to equip the 14TP tank with it remained at the blueprint stage. The anti-infantry armament of 14TP originally consisted of two 7.92 mm wz.30 machine guns. This was an unlicensed copy of the American Browning machine gun and also used on the 7TP, 10TP, TKS and TKW prototype tankettes. 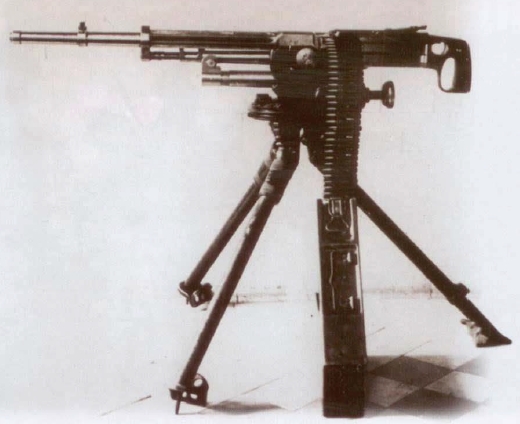 This light armament was later planned to be replaced with two 7.92 Typ C machine guns, but never implemented. The 14TP prototype was allegedly approximately 60% finished when the Second World War began. When the invasion started, the prototype was located in the Experimental Workshop of BBTBrPanc and PZInż in Chechowice, near Warsaw. All plans and the uncompleted prototype of the 14TP were likely destroyed, probably by its designers, who wanted to save it from capture by the German invaders. As a result, both the design and precise specifications of 14TP are lost. A very liberal ‘what-if’ reconstruction of the 14TP tank by WoT forum user Raznarok. 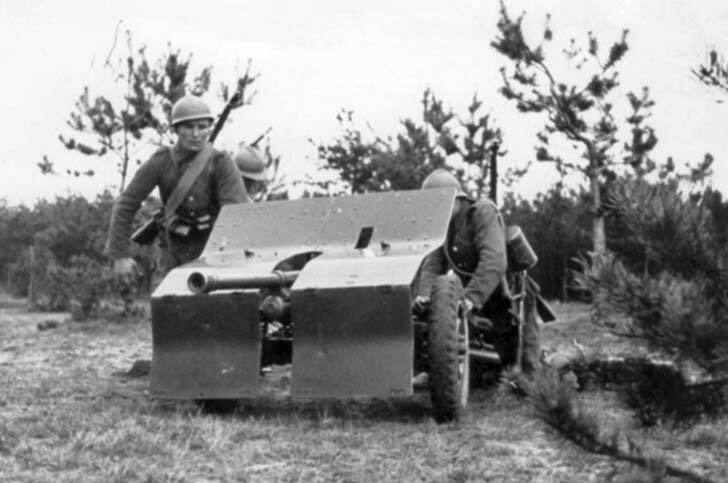 The vehicle sports the 37 mm wz.36 gun, the Typ C 7.92 mm machine-guns and a turret with a widened rear section. This drawing is an artistic interpretation of the 14TP based on what little information exists. 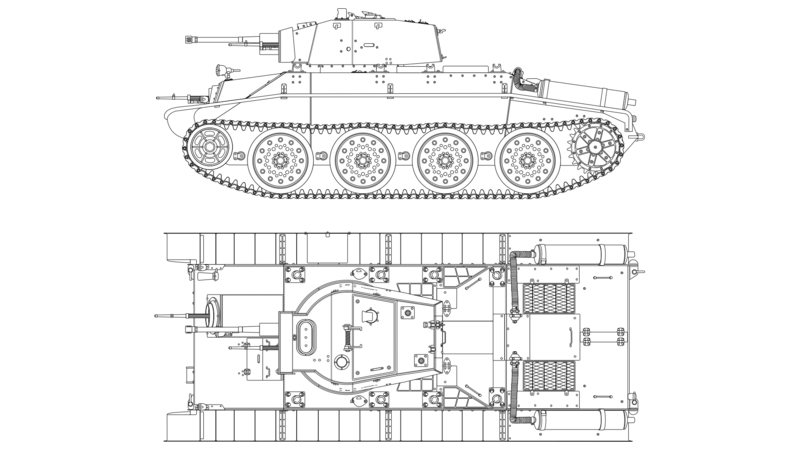 Any discussion of the 14TP is usually accompanied by a drawing of the ‘Polnischer Panzerkampfwagen T-39.’ It allegedly comes from a German Abwehr (Military Intelligence Service) report regarding developments of the Polish tank industry. Thus, it has been claimed to be the 14TP and is the most widely used when discussing the 14TP. However, the Polnischer Panzerkampfwagen T-39 bears no resemblance to the 10TP, on which the 14TP was most likely based. Also, a document has appeared, claiming to be the original Abwehr source. This document is certainly fabricated. The T-39 and its drawing are also almost assuredly fakes. 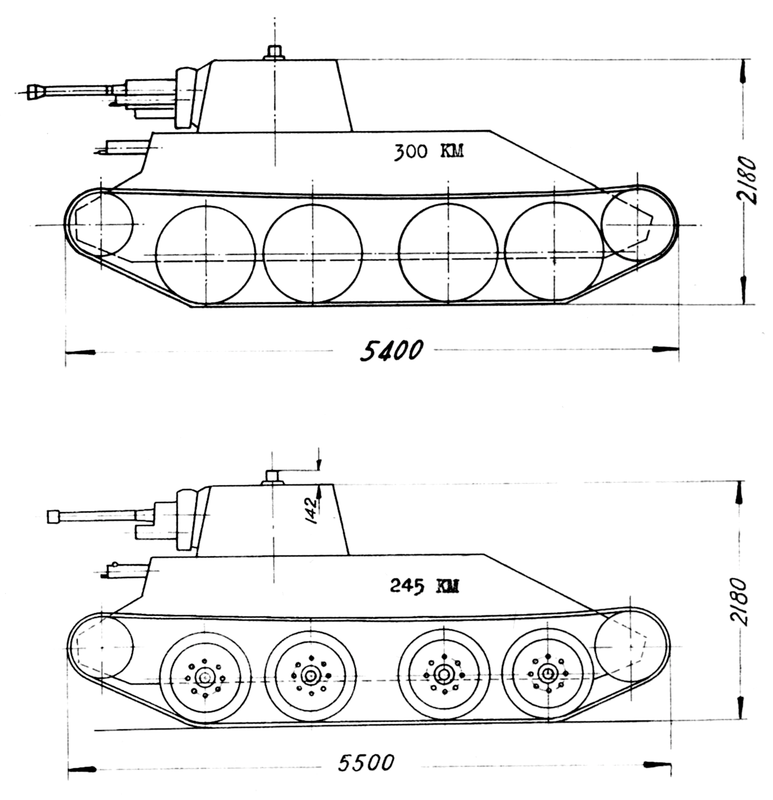 The Polnischer Panzerkampfwagen T-39 drawing that is often cited as the 14TP. It is almost certainly a fake. what do we know on the 10TP, as I have a resin kit of it, unbuilt, and was wondering whether that looking into the 10Tp might tell us more on the purpose and what the 14TP might have looked like and performed. and more technical data about it. 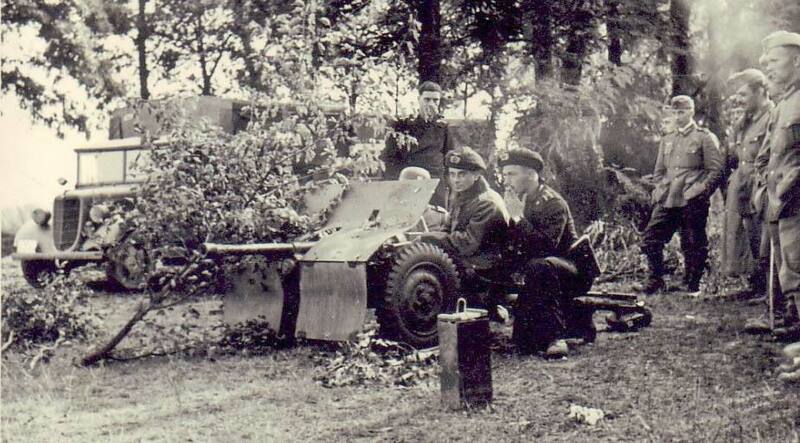 Also one of possibly main armament could be the polish 40mm L/55 wz.35 gun. (also included in the WLU #108).